The Norwegian oil company had great expectations to its northernmost ever well. But the Korpfjell turned out to be a major blow. The well located about 420 km north of the Norwegian Barents Sea coast turned out to hold only a minor gas discovery. According to the country’s Petroleum Directorate, the Korpfjell holds only between 6 and 12 billion standard cubic meters (Sm3) of recoverable gas, which is considered not profitable for development. The well is the first ever drilled in the southeastern Barents Sea, the area which was opened for exploration activity in 2013. It is the northernmost wildcat well drilled on the Norwegian shelf, and also the easternmost. It is located about 35 km from the border between Norway and Russia. «The results are of course disappointing, but it is too early to draw any conclusions on how this will impact the Barents Sea southeast area,» says Jez Averty, Statoil’s head of exploration in Norway and the UK. «We have all the time pointed out the high level of geological uncertainty related to Korpfjell. The main question was whether we would find anything at all – and if we did, would it hold gas or oil,» Averty adds in a press release. Water depth in the area is 253 metres. The well will be permanently plugged and abandoned. It was semisubmersible Songa Enabler which did the drilling. It will now proceed to drill another wildcat well in a nearby production licence. 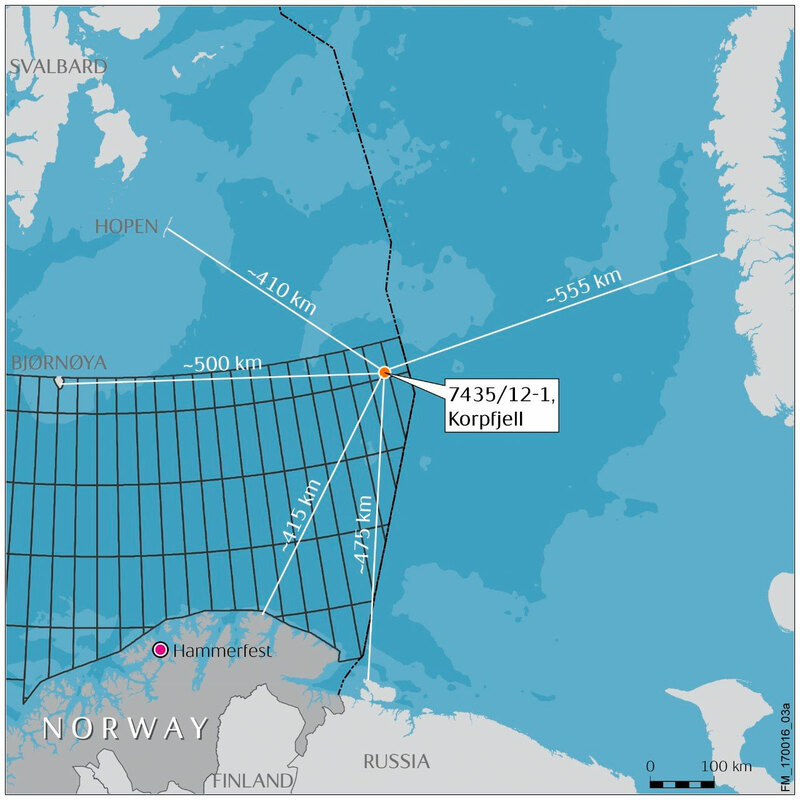 Statoil is lead partner in the in the Korpfjell license (PL859) with a 30 percent stake. Other partners are Chevron (20%), Petoro (20%), Lundin Norway (15%) and ConocoPhillips (15%).